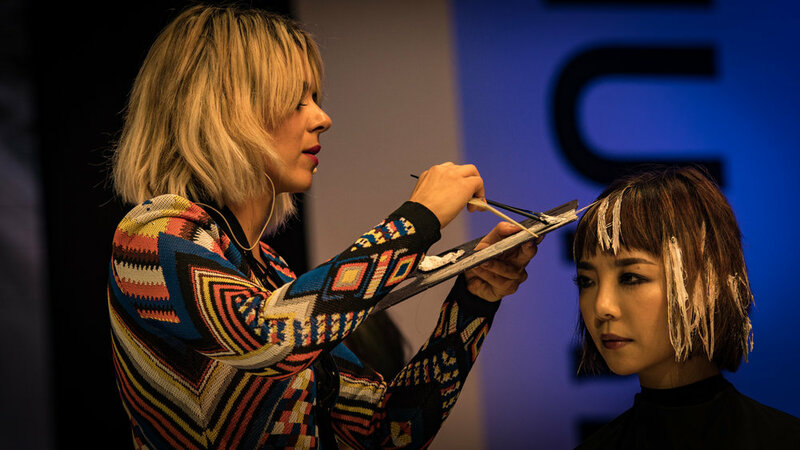 Kate Reid is a global force in the hair industry as a colorist, educator and influencer. The 2018 winner + 2019 and 2017 finalist at the Australian Hair Fashion Awards for her "Excellence in Education," Reid is a driving force in education strategy, digital and live content plus industry sustainability. She is the Design and Education Director at Kevin Murphy, a regular trend commentator in fashion and beauty in the media and fashion influencer with a global audience via her platform Hair Fashion Styler. For over 22 years, Kate has worked with the leaders of professional hair care, and has directed hair for major fashion shows, commissioning the right teams to bring them to life. Kate works alongside Kevin Murphy to direct color on editorial shoots as well as the five COLOR.ME campaigns shoot on location in Prague. During her time as Creative Director at Wella & Sebastian Professional in Australia & New Zealand, she was the lead advisor for Trend Vision, mentoring the team for international competitions in Milan, Paris, New York, Barcelona and Madrid. An editorial regular in premium fashion titles such as Marie Claire, Vogue, New Beauty, InStyle, Creem Mag, Estetica, Beauty launchpad, Shop Til You Drop, Woman’s Health, New Beauty, Salon News Asia,, The Colorist, Salon Magazine and many more, Kate has been recognised with countless awards, including P&G Global Educator of the Year, and was placed on the Global Influence Future Team. Kate’s began her training in Adelaide and continued in salons for six years before excelling as a Color Technician for Wella, Education Manager for Sebastian and then Australia and New Zealand Creative Director for P&G professional hair division, in 2014 relocating to North America with Kevin Murphy as the Education Director to execute the launch of COLOR.ME by KEVIN MURPHY. In 2016 Kate was announced as COLOR.ME by Kevin Murphy’s global Design Director of Color, while she is a natural leader and teacher, working with international icons have kept Kate at the forefront of hair innovation and creation. 2018 Winner Australian Hair Fashion Awards "Excellence in Education"
2017 Australian Hair Fashion Awards finalist "Excellence in Education"